As a growing number of health care professionals push patients to apply for medical credit, consumers are finding these credit cards are not like regular credit cards. Medical credit cards can only be used to pay medical providers. Medical credit cards allow patients to make purchases up-front and pay for them over time. It can be an easy and convenient way to cover medical expenses not covered by insurance. But as with regular credit cards; medical credit cards can be a risk to credit scores. 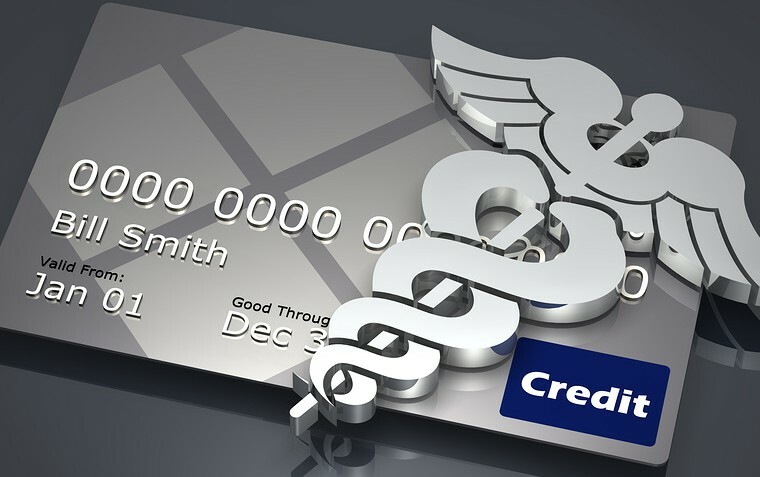 Medical credit cards may come with much higher interest rates. One missed payment or underpayment can increase the interest rate to as much as thirty percent. Unless you pay your bill in full a high interest rate medical credit card has the potential to lock low- and moderate-income consumers in a cycle of debt with an added risk to credit scores. CareCredit, owned by GE Capital is a major player in the medical credit card industry. Citi Health Card owned by Citigroup and the Chase Health Advance Card by JPMorgan Chase are also major players. These companies contract with health care providers who offer the cards to their patients as a way for patients to finance the cost of treatment. Some health care providers have an incentive to push medical credit cards because they often get paid within 48 hours of the charge. Many patients complain that health care providers fail to fully explain the terms of the medical credit cards. An investigation by New York’s Health Care Bureau found that approximately 65% of CareCredit card holders apply for the card while they are in a provider’s office and that the application process is often rushed and occurs when treatment is set to begin. Consumer complaints led to New York’s Attorney General securing an agreement with GE Capital Retail Bank And CareCredit LLC to stop the high-pressure tactics in medical credit card sales to consumers in June 2013. Consumers using CareCredit will now have “significant new protections” along with a “cooling-off” period to give consumers an opportunity to consider the card’s terms and the treatment plan. The agreement has included a limit to what the health care provider can charge in advance. Patients will be made aware of the possibility of high interest rates if the medical credit card is not paid in full at the end of the promotional period. Medical credit cards can be an important resource for patients lacking funds for procedures not covered by insurance and basic care not covered by Medicare. But it’s very important to pay attention to the terms.